“I want you to be strong, mentally and physically. We cannot expect the weak to fight,” he bellows. 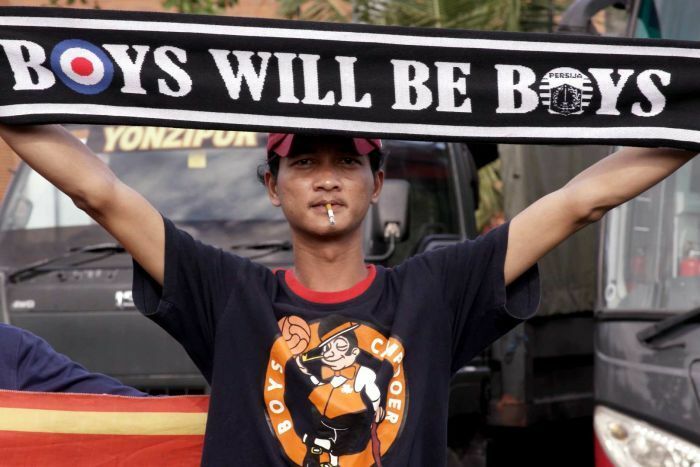 But they’re just Jakarta football fans hoping to support their team and get home alive in one of the world’s most deadly sporting leagues. 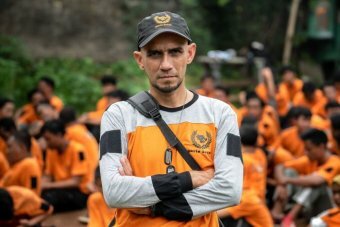 Many have fan clubs and “commanders” like Mr Alarancia, who lead armies of fanatical foot soldiers to matches across the Indonesian archipelago. “Sampai mati” is a common refrain for Indonesian football clubs. It translates to “until death” — and they mean it. 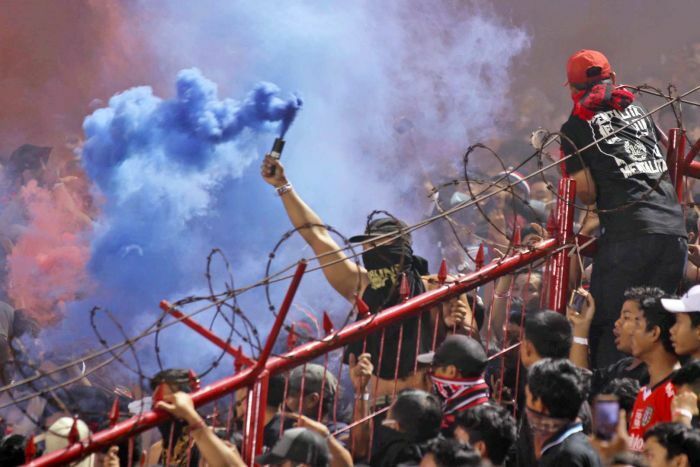 Seven fans have been killed in the past seven years during matches between Jakarta’s team “Persija” and neighbouring Bandung’s “Persib”. The commander of Jakmania’s Hard-Liners, Mr Alarancia lost his front teeth in a fight and bears several scars from past brawls. “Every man likes fighting,” he tells Foreign Correspondent with a grin. The fierce Jakarta-Bandung rivalry has been going on for decades. Some believe it’s a vehicle for fighting old tribal wars. Others say it’s due to the fact the cities are geographically close to each other — just four hours’ drive, a quick trip by Indonesian standards. Whatever the reason, the violence has spiralled so far out of control, even some of the hardest brawlers like Mr Alarancia believe it’s gone too far. “Now, I have to try to calm the situation. If we let loose it’ll become even more dangerous,” he says. 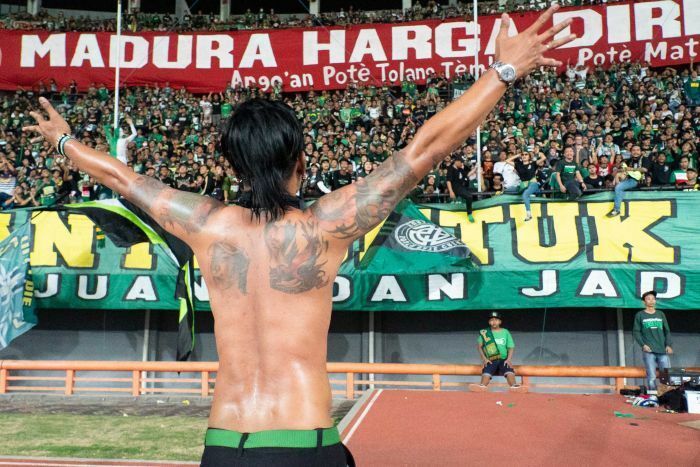 Haringga “Ari” Sirla wasn’t looking for a fight when he went to a Bandung match in September last year. A fortnight earlier, the 23-year-old finally received his first membership card for Jakarta’s official fan club, Jakmania. “Why did this have to happen to Ari?” his grieving mother Mirah asks through tears. “People told me that he was stabbed, his head was fractured, his neck broken, his nose broken. How can I not think about that every single day?” his mother asks. Sirla’s father Siloam wants the attackers given the death penalty. “When I look at their pictures, I hate them so much,” he says. 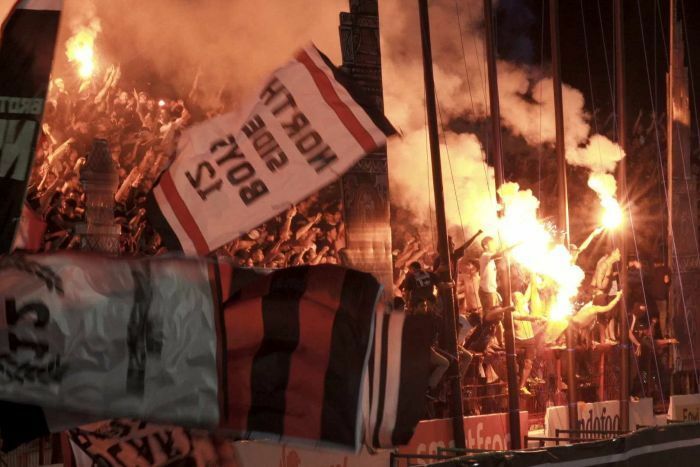 After Sirla’s murder, the Premier League was suspended for two weeks and Bandung supporters were banned from attending matches. He says the whole league felt Sirla’s death. 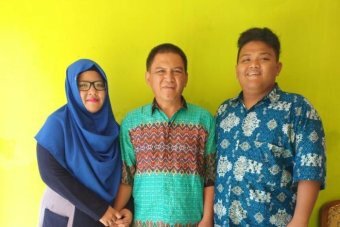 “We feel very sorry [for] that,” Mr Driyono says. Mr Driyono says the federation’s attempts to make the game safer for fans is “not an overnight effort”. “We believe it is a long-term project and [requires] long-term planning,” he says. He cites “step-by-step” changes to the way matches are regulated, the infrastructure of stadiums and the capacity of individual clubs to manage games, but few fans have faith the changes will be effective. 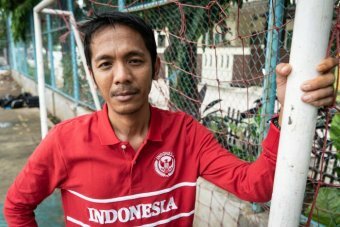 Former sports journalist Akmal Marhali, who now runs local NGO Save Our Soccer (SOS), says Indonesian football has “become a graveyard, not entertainment”. “This is partly revenge from past events; when Persib played at Persija’s home ground, someone died. 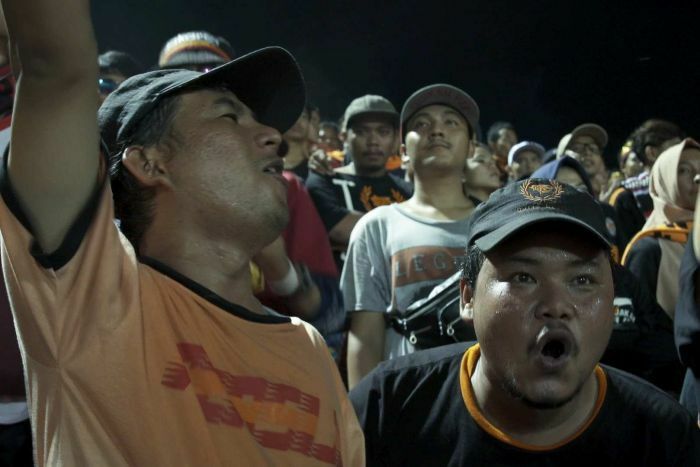 When Persija played at Persib’s stadium, someone died,” he says. Despite his own football fanaticism, he says he’d rather see the league shut down entirely, than watch another fan killed. “It’s sad the federation doesn’t have a solution for this. So that loss of life at a soccer match, is considered normal,” he says. But even after Sirla’s death and threats the league would be shut down, violence has persisted. 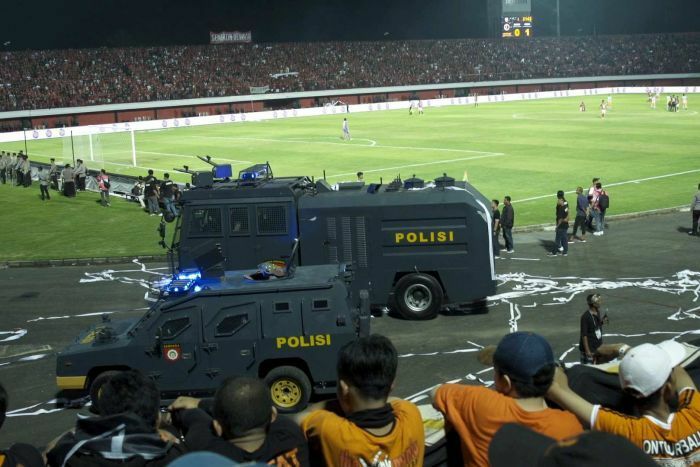 The previous week, at a supposedly “friendly” match between Persija-Jakarta and Bali, fights and scuffles broke out before the game even started, without any intervention from police. 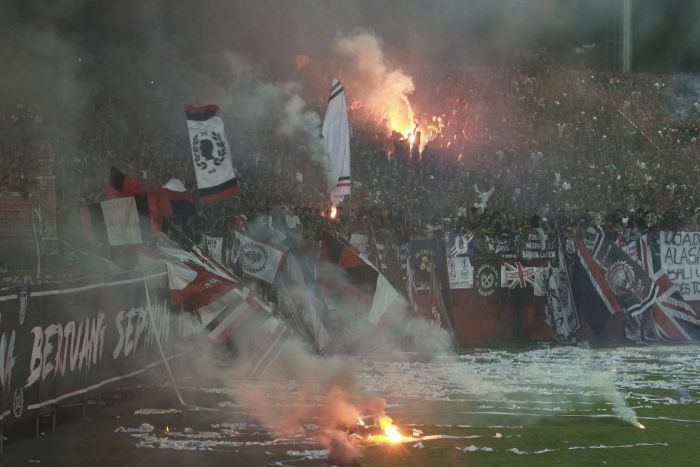 When the match got underway, it had to be stopped several times as rowdy Bali fans threw flares onto the field, chanting “mafia dogs”. 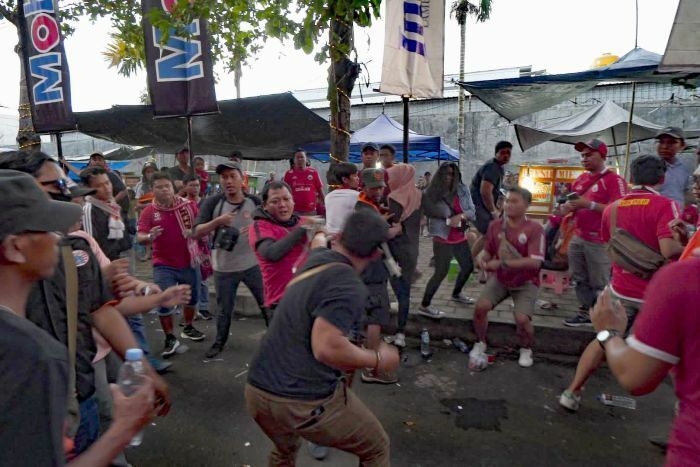 The Bali crowd weren’t angry at the other team, but their own team officials, after rumours spread like wildfire that the match had been fixed by an international gambling mafia. “Match fixing is a chronic disease in Indonesia,” Mr Marhali says. They’ve raided several offices and declared 11 people as suspects. 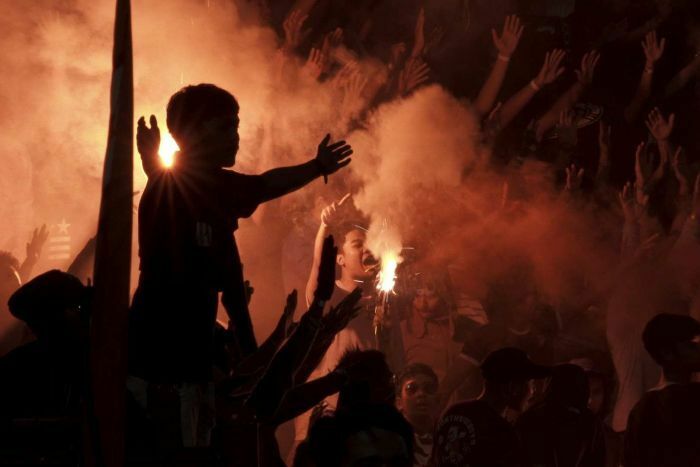 Millions of fans are demanding the league be cleaned up, but few have faith Indonesian Football will feature a truly “beautiful game” any time soon. Watch Foreign Correspondent’s Running Amok tonight at 8pm on ABC TV and iView.